Harry Potter Stars at the New York City Premiere! They’re waving their wands goodbye! 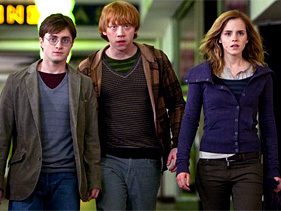 Emma Watson, Daniel Radcliffe and Rupert Grint all showed up to the premiere of Harry Potter and the Deathly Hallows Part II at the Lincoln Center in New York City. 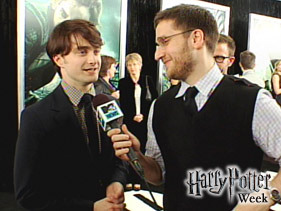 Check out the stars making their final Harry Potter red carpet appearance in the Big Apple. (July 11). Naturally, one of the highlights was when we caught up with the main man himself, Daniel Radcliffe, who revealed that “Harry Potter” author J.K. Rowling sent him a very interesting text message after the film’s London premiere last week.